“What fun,” my grandmother said. I couldn’t tell my grandmother that she was underestimating me—I may not have been on any actual dates, but Larry Nagel was not even the first person I’d kissed. At Pauline Geisselers’s fourteenth birthday party in ninth grade, when we’d played post office, Bobby Sobczak had picked me, and then it became my turn and I picked Rudy Kuesto. Both of them had tasted like peanuts because that was one of Pauline’s party snacks. George Walker Bush was born on July 6, 1946, at Yale–New Haven Hospital in New Haven, Connecticut, while his father was a student at Yale. He was the first child of George Herbert Walker Bush and his wife, Barbara Pierce. He was raised in Midland and Houston, Texas, with four siblings, Jeb, Neil, Marvin and Dorothy. Another younger sister, Robin, died from leukemia at the age of three in 1953. His grandfather, Prescott Bush, was a U.S. Senator from Connecticut. His father was Ronald Reagan‘s vice president from 1981 to 1989 and the 41st U.S. president from 1989 to 1993. 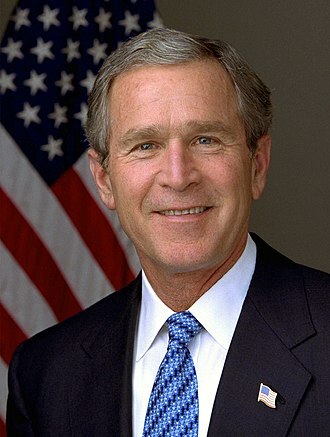 Bush has English and some German ancestry, along with more distant Dutch, Welsh, Irish, French, and Scottish roots. When I saw the customPOEM sign, and later Mormon Church of Satan’s Adidas Marquee advertisement featuring a young black male, I knew my grandson Wesley would telephone me, and I knew it would be for me an emotionally painful conversation. This picture popped up on my computer screen, here at my website, immediately after Wesley and I talked: The above photo, I did not upload here, my website; Mormon computer gremlins did. The following two pictures I uploaded here, my website. SALT LAKE CITY — At the Urban Flea Market in downtown Salt Lake City, old is in — old bottles, old pictures, old cameras. There’s even texting — old school — thanks to Alixander Court. “I tell people my name is Alixander with an ‘i’ because I am my own kind of great,” he said. Armed with his 1970s-era Brother Tabulator manual typewriter, the full-time real estate agent and part-time writer spends some of his Sundays giving away words. People dictate letters, poems, quotes, and lyrics, and Court types them. One woman requests a line from an Alex Ebert song. There was the woman who wanted to write a letter to her brother, who killed himself the previous weekend. Lance, wherever you are, your heart is always safe with me. Love, Your Sis. I am too emotionally distraught to finish posting the poem information. I will finish posting as soon as I can. This post is the last post for this website. Effective tomorrow I will begin posting at my new website, AnneFranklySpeaking.info.